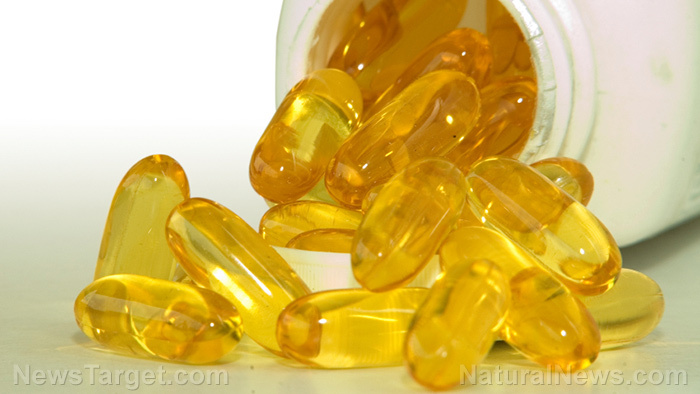 (Natural News) In the largest cohort study to date, a team of British nutrition experts confirmed just how powerful omega-3 fatty acids are for optimum health. Their research, published in Scientific Reports, observed more than 800 middle-aged to older women to see how a balanced diet consisting of foods rich in omega-3, probiotics, and fibrous items affected the gut microbiome. The team found that omega-3 in particular positively influenced the trillions of bacteria and fungi that live in our gut. Participants who consumed omega-3 in adequate quantities every day had a dramatically decreased risk of developing conditions related to inflammation. Additionally, omega-3s impacted just how diverse the gut microbiome became. Medical science has already proven that this diversity lowers the risk of obesity, type-2 diabetes, and related conditions such as Crohn’s disease or colitis. Trials on these women included measuring the amount of “good” bacteria in the gut in relation to how much omega-3 was taken. Blood serum levels, which show how much omega-3 is found in the blood, were also calculated. The team found that women who ate more omega-3-rich foods had higher serum levels and a more diverse gut microbiota. Scientists believe that omega-3 functions as a precursor to the production of N-carbamylglutamate (NCG), an enzyme that increases protein synthesis and allows friendly gut bacteria to proliferate. Dr. Menni and her fellow researchers nevertheless concluded that they still need to further study the exact mechanisms involved in this process. They likewise stressed the importance of eating omega-3 in conjunction with other healthful nutrients such as probiotics and dietary fiber. – It fights depression – We use the verb quite literally. Depression is an insidious disease. Despite millions of Americans suffering from the condition, many people still don’t understand just how debilitating the mental illness can be. Those who are depressed often complain of being in an internal war with one’s own self. Omega-3 has been shown to battle symptoms of depression and anxiety easily, reducing the severity of symptoms after a few months of regular intake. Mental health professionals believe that by improving the brain-gut connection, omega-3 helps depressed patients rewire their brain. One study even suggested that omega-3 fatty acids are just as effective as a common antidepressant drug, Prozac, with no side-effects. – It improves eye health – A major component of omega-3, DHA, protects the retina of the eye. Several medical reviews have observed that omega-3 reduces the risk of developing macular degeneration, which is one of the leading causes of blindness. – It prevents cardiovascular disease – Omega-3 supports healthy heart function. Data indicates the fatty acid to be highly efficient in keeping LDL cholesterol levels down while boosting HDL levels. These are but a sampling of the health benefits omega-3 can have. You can read more articles about the health benefits of this fatty acid by visiting Nutrients.news.